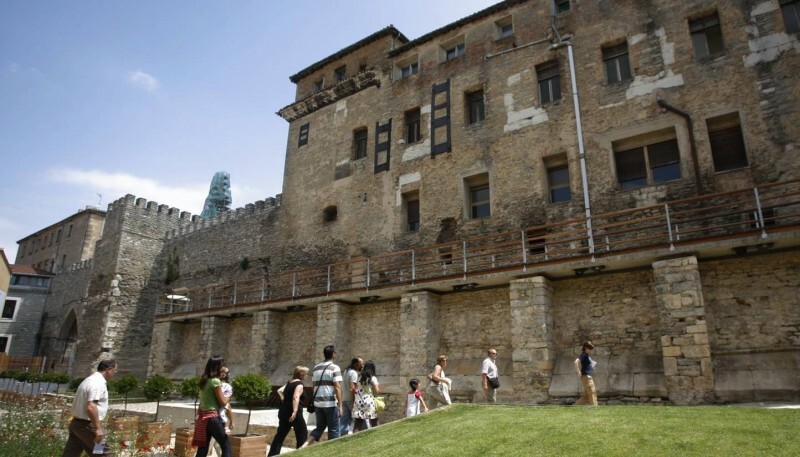 This unified visit allows you to enjoy two of the most important heritage resources of the city of Vitoria-Gasteiz: The Cathedral and the City Walls. 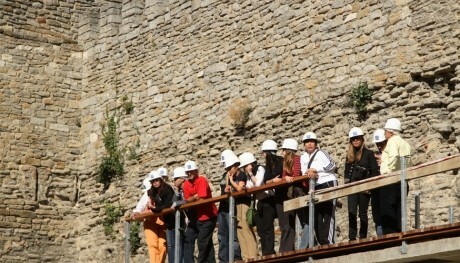 The visit allows you to get a deeper knowledge about the construction of a gothic cathedral. 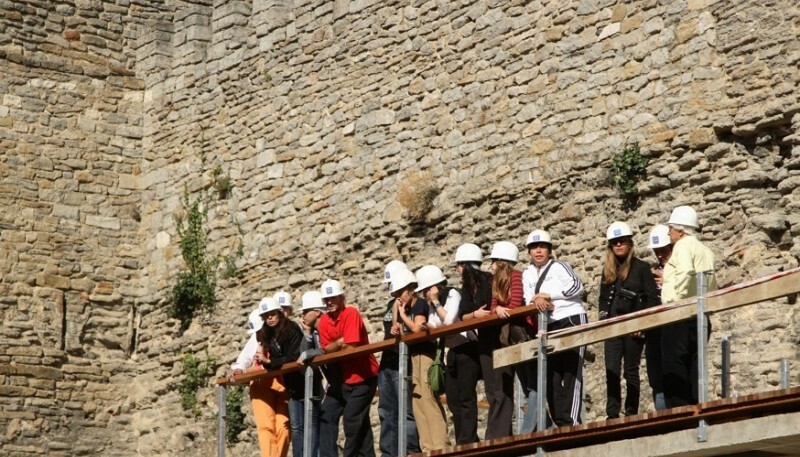 With this tour we will know the constructive phases of Santa María Cathedral, the problems that have afflicted it for many centuries, the archeological and architectural investigation works and the future projects. The itinerary allows the visitant to appreciate the building in its entirety from the foundation areas to its different levels. With this visit we also can follow the stonework evolution that have been done to reinforce the foundations and the new floor that has been built in the cathedral. 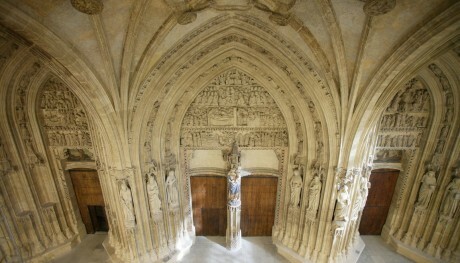 We will also go over the round outer passage on the city walls as well as the clerestory, to finally, value the restoration of the cathedral arcade and get delighted with the extraordinary quality work of the tympanum of one of the best 14th century facades in the country. 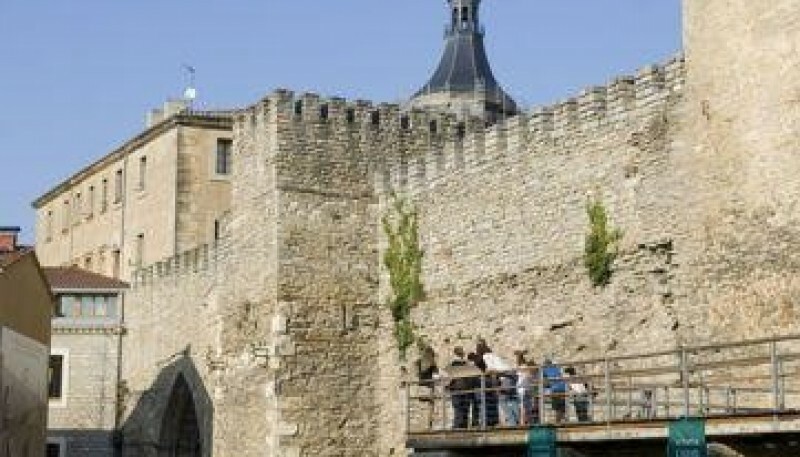 In this visit two canvas of the City Walls from the 11th century can be contemplated. 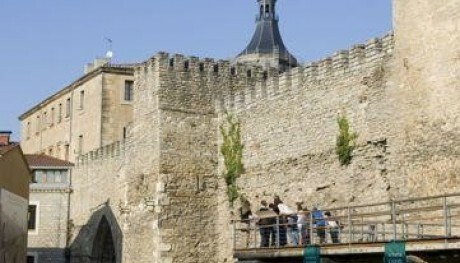 Includes: Guided visit to the Cathedral and the City Walls of Vitoria. Hour & Meeting Point: The visit will begin at the Visitor Reception Centre with access from the Bullería Square (in front of El Portalón restaurant) or from Fray Zacarías Martínez street (next to Los Anda tower). The visitor will have to collect the tickets at the Centre ten minutes before the beginning of the visit. Important Notes: A 10 minutes introduction before the beginning of the activity. If the visitor does not arrive at the beginning of the visit the vacancy will not be guaranteed.